IzzyReal is a hilarious entertainer that can keep a crowd amazed by his multiple talents. Book him today to be your host/emcee, comedian, actor, improv artist and more. New Hope Baptist Church hired IzzyReal to participate in the 20th Pastoral Anniversary celebration for Pastor Harold Miller, Jr. and 1st Lady Dr. Margie Miller. With IzzyReal, being a Christian comedian, he was perfect for our celebration. Pastor Miller is full of joy, and IzzyReal delivered even more joy to the celebration. Everyone was very happy with his performance. I would recommend him for your next event. He is really great and friendly. Would hire him again. We just didn't get to hear all of him because of program timing. Izzy did a great job. He was our MC for an end of the year awards show. He also did some stand up comedy during the night as well. He was very funny. The adults liked him and the teenagers liked him. Very talented young man who was quick on his feet and handled everything we threw at him. This comedian brought us the laughs we desired. He was on time, and did exactly what was requested. Izzyreal is a great young talent that is sure to only get better and better. 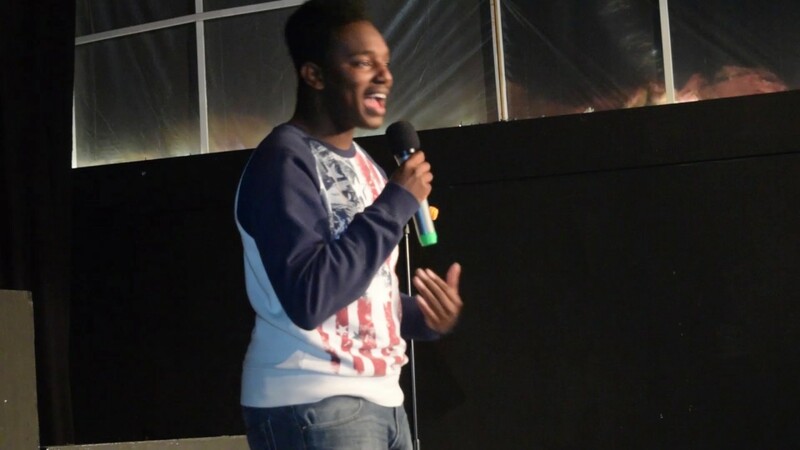 IzzyReal is a young comedian currently living in Atlanta, Ga. After making his debut in comedy at the age of 12 he has amazed crowds all over the country with his stunning delivery, Witty timing and clean family friendly jokes. IzzyReal truly allows the audience to look at life through the lenses of a comedic genius.